We’d like to take the opportunity to introduce you to the winners of one of our Honorable mentions for the “The Big Tiny Coffee House Challenge” competition - Vlad Dumitru and Lauren Martin from United Kingdom! Vlad and Lauren studied at the University of Greenwich and worked together on both academic and built projects. Vlad is part of the Planning Team at BUJ Architects and is responsible for producing CAD drawings, renders and 3D models. He enjoys tinkering with every detail in every drawing and is always excited to learn and be part of the design process. Lauren works for Malcolm Cook Architects and is currently involved in housing developments working close with the lead architect. During their studies at the University of Greenwich Vlad and Lauren were an active part of the Workshop and Studio Support Team. They are knowledgeable of all aspects of model-making, having worked with a wide range of machinery from laser cutters to 3DPrinters, and CNCs to bandsaws. 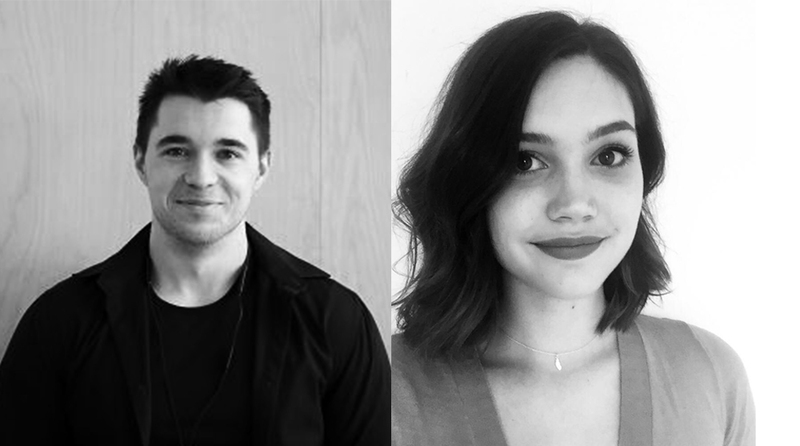 Vlad and Lauren worked on projects all around London, from tree story houses to large scale developments such as Dulwich College, One Heddon Street, Wickside, Quay House and Ilford High Street. We associate the idea of architecture with the simple act of manifesting a thought. Our belief is that something can be categorized as architectural as long as there was a process behind its existence. Whether intentional or accidental, architecture exists as the outcome of thoughts, actions and reactions and occupies a perceivable space, with which we can interact. To us the architect is defined by the effort of trying to understand every aspect of any given idea from all possible perspectives. Through this effort we, as architects, take the abstract and make it accessible and understandable. We can simply say that we enjoy working on an interesting brief. There are challenges and opportunities that come with every new project we take part in, so it becomes a fun learning experience that is worth the effort when we see that our design works. Such competitions are definitely challenging, but we can say, without a doubt, that there is so much to gain. You learn by doing and we believe that these are opportunities to do so. The effort of understanding the brief and putting forward a proposal is well worth it.